Fox Rothschild LLP congratulates Kenneth J. Abdo, Tim Mandelbaum and Monika A. Tashman, who were named by Billboard as 2018 Top Lawyers in Music. Abdo, based in the firm’s Minneapolis office, has served as legal counsel to artists, creators and businesses in entertainment for more than 30 years. He played a key role in preserving Prince’s musical legacy and determining the future of his estate, and has assisted various artists and artist estates, including Three Dog Night, Toto, Kool and the Gang and HANSON, in contract renegotiations in legacy enhancement and protection transactions. The first attorney to file a Section 203 sound recording termination of copyright grant for the international smash Funkytown, Abdo has continued filings and advocacy for many artists over termination of copyrights transfers. He has served on the Recording Academy’s Board of Trustees and is a recipient of the ABA Forum on Entertainment and Sports Industries Ed Rubin Award for his history of leadership and service. 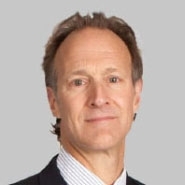 Mandelbaum, the former EMI Records Head of Business and Legal affairs, leads the 12-attorney Music Industry Practice Group from the firm’s New York City office and provides strategic legal, career and business guidance to a variety of talent and corporate clients in the entertainment industry. Recognized for his experience as a proactive deal broker on behalf of his clients, he has represented numerous top artists and independent labels, recently including Eleven Seven Recordings in numerous groundbreaking distribution agreements, No.1 Chinese crossover artist Kris Wu in his licensing agreement with Universal Music Group/Interscope and Go East China, Wu Tang Clan in connection with negotiations with Sony/Legacy surrounding the 25th anniversary of their seminal debut album “Enter the Wu Tang, 36 Chambers” and with Epic Records for the 2019 re-casting of such album, a publishing administration agreement for multiplatinum artist Christina Perri and the Section 203 Sound Recording filings for Rock & Roll Hall of Fame artist Blondie. Mandelbaum also serves as a member of the Alliance of Artists and Recording Companies Board of Directors. Tashman, also based in New York City, leverages more than 25 years of multi-faceted experience in the music and entertainment industries to help record labels, content creators, talent and emerging companies identify key transactions to maximize returns and growth. Her success is grounded in her philosophy of prioritizing clients’ long-term, bottom-line gains in all deal negotiations. Tashman has earned a reputation as a strategic negotiator who helps artists capitalize on opportunities to maximize and monetize their creative output, while maintaining optimum control over future career choices and preserving their artistic freedom. Tashman has become a go-to source for pragmatic advice on the implementation of practices and protocols to address the issues raised by the #MeToo movement and is a frequent speaker on controversial topics that affect the music industry. Fox is a full-service firm with the resources of more than 800 attorneys in 21 offices coast to coast. The nationwide Entertainment Law Practice consists of 25 attorneys who work with celebrated and respected artists, writers, producers and executives including Grammy®, Emmy®, Golden Globe® and Academy Award®-winning stars, as well as music and licensing businesses in television, film and music.